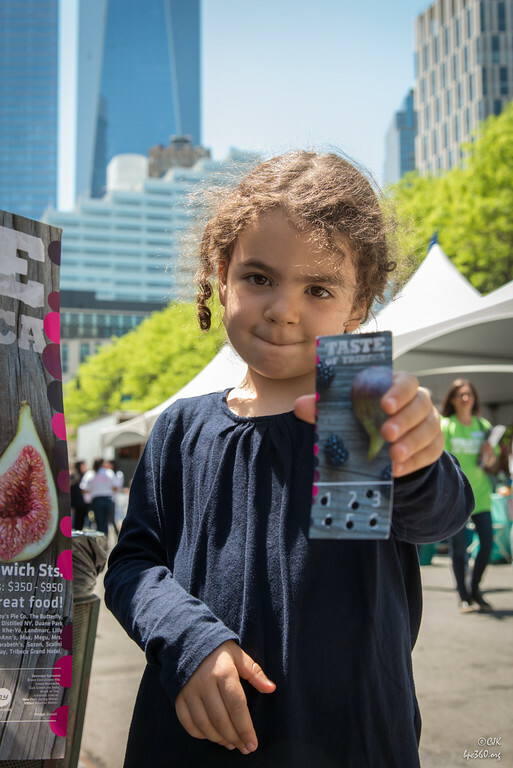 Taste Of Tribeca 2015 Tickets on Sale Now!!! We kicked off our third decade on Sunday, March 1, when tickets went on sale to the public at www.tasteoftribeca.org. With great new additions like the Beer Tour of Tribeca and an impressive repertoire of new restaurants, this year’s event is sure to be better than ever. 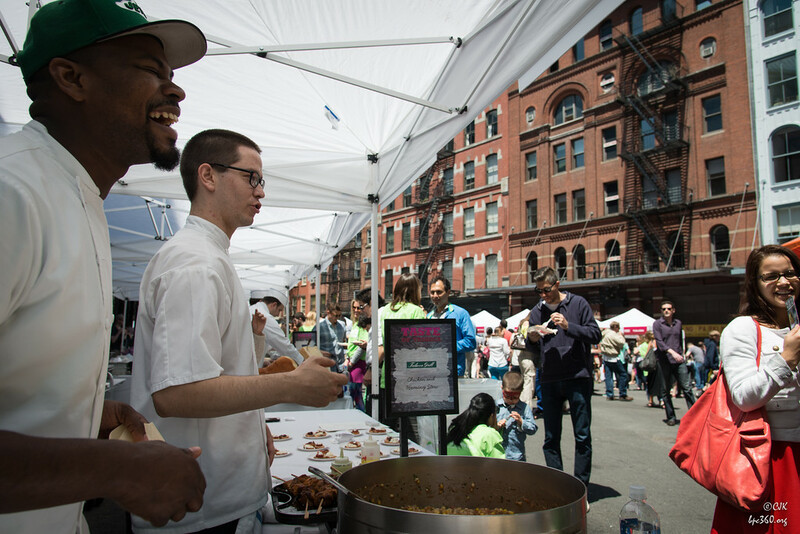 Now in our 21st year, Taste of Tribeca brings together over 70 of Tribeca’s top chefs and restaurants to benefit arts and enrichment programs at local public schools, PS 150 and PS 234. Participants will include Michelin star recipients Bouley and Brushstroke; neighborhood icons Nobu, Marc Forgione, Duane Park Patisserie, Tribeca Grill and The Odeon; and newcomers White Street, Baked and Café Noir. Café Noir is also pleased to host Taste’s annual cocktail party launch on Monday, April 27. New this year is a Beer Tour of Tribeca, hosted by Church Publick, Reade Street Pub, The Hideaway, Warren 77 and Woodrow’s, with beers and ciders presented by local and New York State brewers including KelSo Beer Company and Sovereign Cider. 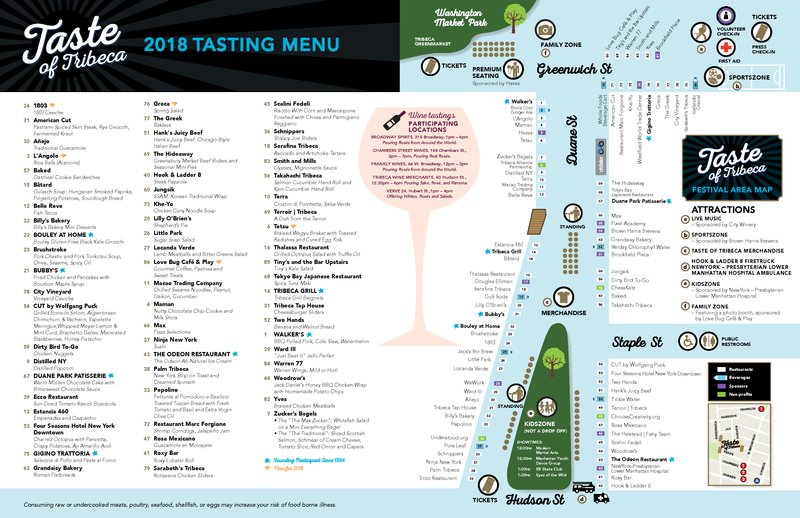 General Tasting Cards ($40 early bird, $50 day of event) provide six tastes from any of the participating restaurants. Premium Seating ($700 and $1000 for tables of four and six) includes reserved VIP seating for the duration of the event, personal food runners staffed by students from local high schools, and a gift bag from Taste of Tribeca sponsors. Tickets at any level include wine and beer tours of neighborhood shops and pubs, live entertainment, Kid Zone and a new Sports Zone run by Manhattan Youth. 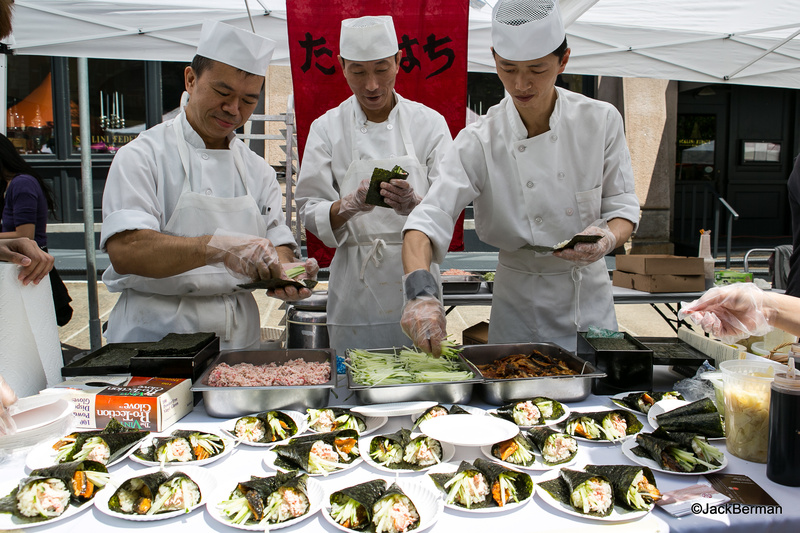 This is a truly unique event that not only unites the entire Tribeca community but also invites all of New York City, both young and old, to join the Tribeca community and explore all of its delicacies. Follow us! We are on Facebook, Twitter, and Instagram!